Help your little princess look like the star that she dreams to be with our classic comb and brush set. The set is produced in a non-tarnish bright nickel plated finish. 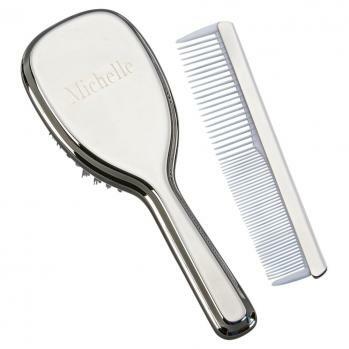 The comb is 4.75" L and has white "teeth". The brush has an elegant handle and measures 6" x 2.125". Engraving area is 3" x 2/125" and is totally flat.